A manufacturer of plastic films performed forming process tests and simulations in-house. For his FE forming model, he needed a faithful description of the localizing (necking) strain deformation behavior. We created a 3D FE model of the manufacturers test setup. Then we developed and calibrated an anisotropic visco-plastic material model. 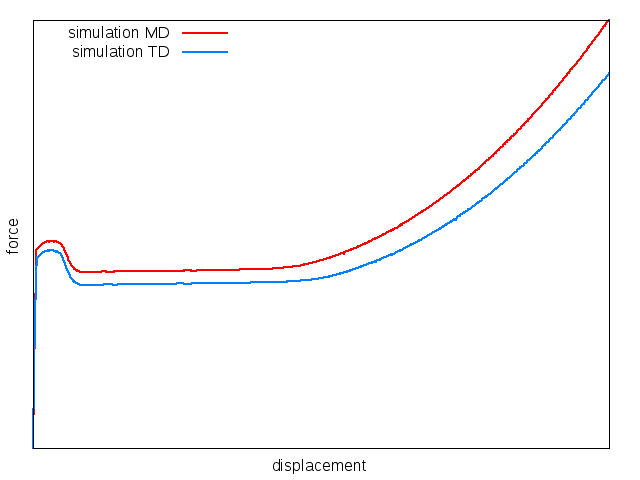 The model takes strain localization, orientation dependent behavior (MD/TD), and strain hardening into account. 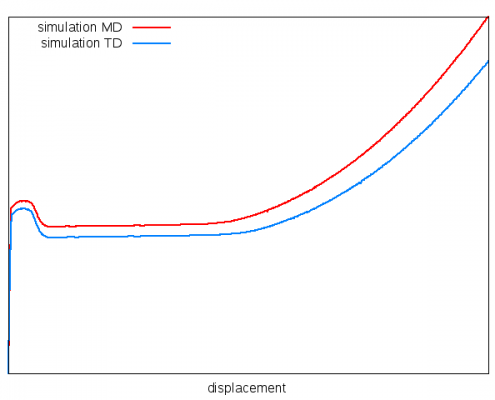 Using this model, the manufacturer can predict global forces and displacements as well as local stress and strain fields. The model is suitable for 3D simulation of the continuous thermo-mechanical film forming process.